Mario Kart 8 Deluxe! Puyo Puyo Tetris! Kamiko! Tumbleseed! More! It's that time again, dear readers, for details of the goodies coming in the North American Nintendo Download Update. The headline is clearly the latest first-party blockbuster on Switch, but we also have a keenly priced puzzle gem and a few download-only options on the system. The Wii U also pitches in with a couple of releases, though the 3DS is limited to demos and HOME Themes this week - let's get to it. 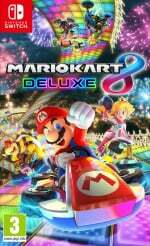 Mario Kart 8 Deluxe (Nintendo, $59.99 / $79.99CAD) - Nintendo's latest major retail arrival on Switch lands on 28th April, combining all of the original's content - including free updates and DLC - with an all-new Battle Mode. What we're left with, ultimately, is an outstanding version of an already excellent game, and a contender for best-in-class within the franchise. 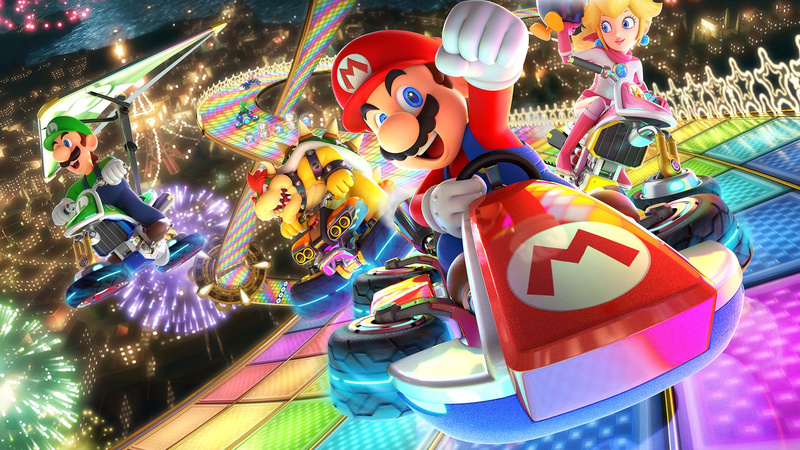 We awarded it top marks in our Mario Kart 8 Deluxe review. 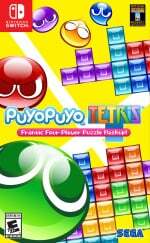 Puyo Puyo Tetris (SEGA, $29.99 / $39.99CAD) - Released earlier this week, this is a stylish and enjoyable mash-up of two iconic puzzle styles, with a wide range of modes and variations on each game to enjoy. Throw in decent local and online multiplayer options and you've got an enjoyable title, as we explain in our Puyo Puyo Tetris review; in North America it costs less on the eShop than in stores, too. 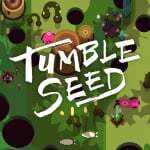 Tumbleseed (aeiowu, $14.99 / $19.74CAD) - A project spearheaded by Greg Wohlwend, this is described as a 'rolly roguelike' in which you carefully balance a seed and navigate it through tricky environments. It's colourful, intriguing and full of potential, so we'll see how successfully it delivers in a review; until then you can check out our interview with the developer and our video about the game. Available from 2nd May. Kamiko (CIRCLE Entertainment, $4.99 / $6.99CAD) - CIRCLE makes its publishing debut on Switch with a retro-style release from Flyhigh Works; the game is based around Japanese Shinto beliefs and promises puzzles and demon encounters on the journey through various stages. We'll let you know what we think in a review. 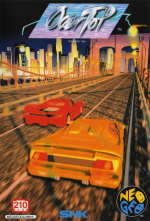 Over Top (HAMSTER, $7.99 / $9.87CAD) - Another entry in the ACA Neo Geo series, in this case a top down racer that builds on the groundwork laid out by developer ADK's previous racer, Thrash Rally. You can expect various features and goodies as normal for an ACA title, and we'll let you know whether this gets into top gear in a review. Use Your Words (Smiling Buddha Games, $14.99 / $16.99CAD) - This is a collection of four adult-centric minigames (though there is a 'family filter') that, rather like The Jackbox Party Pack 3 on Switch, utilises phones and tablets as controllers. It's all about multiplayer and others can apparently stream and watch games in action, so the idea sounds promising; we'll see whether the execution delivers. 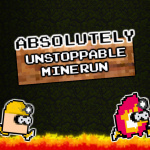 Absolutely Unstoppable MineRun (Yappa Pie, $3.99 / $5.50CAD) - This is an auto-runner in which the miner is apparently 'out of control'; naturally you jump and double jump to avoid lava and various hazards. As always Nintendo of America wants you to browse the eShop and check out the official sales and deals website for discount details. Plenty to choose from this week, so let us know what you'll be downloading in the poll and comments below. Can someone who gets MK8D comment on whether or not the AI is tweaked in 150cc mode to offer more challenge offline (hopefully without being cheap/unfair)? I really miss not getting the EU headsup on a Monday. A decent week, but nothing to make me jump off of my couch to grab my credit card. Waiting on MK8. @Sakura Yeah it makes no sense why they changed it Having to wait until an hour before I could just turn on my consoles and check or ask wikipedia kinda defeats the purpose and removes possibly looking forward to anything. Why are they not allowing preload on MK8D? I wonder about the same, also I miss the the way the Wii U handled system updates and such during standby. Not downloading, but I'm grabbing Mario Kart on a cartridge tomorrow. Puyo Puyo coming today retail, saving a bit more money for MK8D, and likely gonna buy Tumbleseed. Kamiko's also cheap so probably that as well. Getting MK8D tomorrow via physical copy. As for today, Kirby theme and maybe Kamiko. I'm from Holland too. I'm pretty sure you will have to wait till 15:00. There are no regional release times that I'm aware of. @Velocity90 Ok so the eshop update's everyday at 15:00? So... Virtual Console on any of Nintendo's three current systems... where you at? Puyo Puyo Tetris costs £34.99 in the UK. I'm not sure about its Euro price,€39.99 possibly? There's quite a saving to be made buying it from the NA shop. Who's trying to get Absolutely Unstoppable MineRun? Picked up my Puyo Tetris preorder and will tomorrow for Mario Kart. I'll definitely grab Over the Top too. Surely Nintendo can see the need to get the VC going? @Mawks It will be available from midnight for you, possibly 1am. Even though the weekly download update arrives at the same time every week, retail titles won't appear till their official release date has arrived. @Yasume You could at least put in some effort in your trolling. @holygeez03 If you want more challenge, play 200cc, I LOVED that mode. @Fred13 Some are probably getting the physical version. I downloaded Puyo Puyo Tetris yesterday and it's pretty fun. It's a game I want to have on my system as a pick-up-and-play, and it was $10 cheaper than physical. I'm getting a physical copy of Mario Kart 8 Deluxe tomorrow. Will there be any Kirby game deals since it's his 25th anniversary? @OorWullie So will i be able to download it tommorow or just when the weekly update comes? Dude, it's an enhanced port of a three year old game. What did you expect? Many of the early adopters were also Wii U owners who probably played the original, being the great game that it is, to death. If it wasn't for the addition of the traditional battle mode, I'd pass on it. This will be a game that I buy on Switch, once the system starts developing an identity of its own. @BanjoPickles I understand the enhanced port thing. In fact that's why I wasn't going to buy it especially since I bought it on Wii U digitally so I can't even sell a disc. However, they did such a great job with the battle mode plus my 4 and 5 year olds will appreciate the steering assist so I decided to jump in. As for waiting until the system has found it's identity, that seems backwards to me, once it finds it's identity I'll be less likely to buy enhanced ports as I'll be playing games like Arms, Splatoon 2, NBA Playgrounds, Xenoblade 2, Mario Odyssey, NBA 2K, and maybe Skyrim. Puyo Puyo Tetris came in the mail yesterday and MK8D is in the mail for delivery tomorrow. Have a 3 day weekend, I know what I will be doing. You're right the tracks weren't designed for 200cc, but that's what I loved about it, I had to experiment with different carts, drivers and driving styles to get to beat them and there wasn't 1 set up and driving style that would work across all the cups. It was GREAT! Anyway, looks like a pretty good week, but I'm not gonna buy anything from the eShop. I'll just wait to buy MK8D physically, hopefully tomorrow. Already have my physical copy of Puyo Puyo Tetris (so much fun!) and my Mario Kart preorder shipped today. As for DLing, Kamiko looks pretty good. And a new Kirby home theme! I haven't opened my 3DS in weeks, but I'll have to give that a look. Any other Puyo Puyo players slightly annoyed that you can't set the shoulder buttons to be used for rotating pieces in Tablet mode? I keep forgetting that it's A/B and hitting the wrong thing. Other than that minor nitpick, I'm having a blast. So many modes! Not really backwards at all. Backwards, at least to me, would be spending $300 (actually more, since I'd be at the mercy of a scalper right now) on a console when I have a perfectly good Wii U sitting under my television that currently plays the two biggest games that the Switch has. Splatoon 2, Xenoblade 2, and Mario Odyssey, the way that they handle VC, and the amount of third party support it gets will be a deciding factor for me. Bring on E3! Nothing for me this week. I would get MK8D but maybe when they have a sale on it or more likely as a discount (gold coin) for MyNintendo more than a year from now. @Mawks It will appear on the Eshop either at 12am or 1am tonight.I say 1am as you might need to wait till it hits 12am in the UK. But it will definitely be there for purchase no later than then. 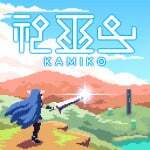 Kamiko looks interesting and it's pretty cheap. I know it's not supposed to be very long, but it should be fun for a weekend. Puyo Puyo Tetris came in the mail yesterday, and it's pretty much what I expected (which is good). The script is too chatty so I've already started skipping scenes. And I realize I really need to brush up on my Puyo Puyo strats. Mario Kart 8 Deluxe is one I'm on the fence about. I've never loved Mario Kart (Diddy Kong Racing 4 lyfe), but MK8 was objectively really good. I don't know if I'd play enough to get value out of the double dip. Over Top and maybe Kamiko for me. @Mawks Probably midnight (which is actually 12am as I assume you meant 12 'am' not pm that you wrote) or 1am. Sorry for the double post, but I have a question for you: Since I assume that Skyrim will be a straight port of the PS3/360 game from 2011, doesn't it seem like a bit of a slap in the face that the Special Edition on PS4/XBONE currently retails for $30 while the straight port will likely be priced at $50-60? I am somewhat interested, for the portable aspect, but I have a problem with being charged twice the amount than I would pay for the same game on a different console. @joey302 You can if you use the search function. Just don't enter any keywords and you can list all the games available. I got Puyo Puyo and MK8D physical. I'll get Kamiko digital. I am also saving 200cc for the Switch version in order to have something to do... and maybe poor Toad will be viable again. Unfortunately, at this point, 150cc offline might as well be Time Trial mode... so I'm hoping they up the difficulty of 150cc. I'm watching some 150cc mode on Twitch right now and it doesn't appear to have higher difficulty... too bad. @BanjoPickles I totally understand what you're saying, but for me personally I'd be willing to pay higher (not neccessarily full price) for it considering 1. They probably spent a large amount of time/money on the port, and 2. being a new type of system (portable) I see it as basically a new game. Like I said though, that's just how it's going to seem to me personally. Nothing but the Kirby theme for me. I guess the eShop for the 3DS is dying. @BanjoPickles Now, I understand. I was just assuming you already owned a Switch, but since you don't what you're saying makes a lot more sense. Puyo Puyo Tetris, MK8D, Kamiko, and maybe Tumbleseed (I hope it's cool). I'm potentially buying 4 Switch games this week. Wow! @BanjoPickles A slap in the face? If i had already played the game on PS360 then I wouldn't be interested. Similarly if I owned a PS4 or an XBONE I would be tempted to get it there instead. However, I've never played the game so I'm looking into it and if I decide I want to play it I've never shyed away from paying full price if I'm certain I'll enjoy the game. And that is where I'm totally conflicted because I desperately want third-parties to stick around with quality software and they won't if it isn't supported. The notion of Skyrim on the go is really hard to pass up. I've also taken into consideration that porting it to the Switch, which is an entirely different beast, was probably more difficult/time-consuming than the work put into the Special Editions for PS4/XBONE. I'll probably end up buying it, just because I want to contribute to the message that fans care about QUALITY third-party releases! I totally understand where you're coming from. A new game is a new game, regardless of how old it is. One thing that I can tell you is that you will put a TON of time into it! Bethesda games are insanely large! I'd like to buy Brentalfloss's game, but working graveyard shifts doesn't exactly allow for a social life, so I won't have anyone to play with. @BanjoPickles The reason I'm thinking I would enjoy it is I've loved Breath of the Wild and I loved Xenoblade Chronicles and Xenoblade Chronicles X. The reason I might not get it is because it comes out close to NBA 2K18, Mario Oddessy and Xenoblade 2 so I'll already have a VERY FULL gaming plate. @Yasume If this week didn't have Puyo Puyo Tetris, Kamiko, and Kirby's 25th Anniversary theme, then I could agree. Did they ever announce a specific date in May for NBA Playgrounds? Is it possible that we'll see it next week? Absolutely! I just finished Breath of the Wild on Wii U (amazing game, and probably my second-to-third favorite in the series), and I'm already excited for the Fall. The way that I have my year mapped out is that I will spend the next seven months on games like Nioh, Yakuza 0, Little Nightmares, the DLC for Dark Souls III, and Persona 5. I'll hopefully take the Switch plunge in August, and then I'll jump into Splatoon 2, Mario Odyssey, and Xenoblade. My bank account is going to hate me! Ha! What I can't figure out is why they didn't take the opportunity to release Kirby Superstar, or Dreamland 3, on 3DS VC to mark the occasion. Agreed. Up to this point, seeing neither of those games on the 3DS eShop is very baffling, especially since this is the pink hero's anniversary. I mean, I get that securing third-party games can be difficult, but---this is their game, so I'm a bit puzzled why they gave up on the 3DS VC before exhausting their own catalog (not counting games like Starfox and Yoshi's Island, which utilized the FX Chip). My Mario Kart 8 Deluxe will be in tomorrow's mail. This is an insanely good week for the Switch. I'll be purchasing MK8D, though. Or, more precisely, I've preordered it and will be picking it up from the store tomorrow. Is Absolutely Unstoppable MineRun in 1080p? Puyo Puyo Tetris was preordered in January and we now have it (and the keychains went right on to my wife's keyring immediately). So Tumbleseed will be the only download. Amazon Prime pre-order makes everything 20% less which helps and also keeps me ordering physical when I prefer just clicking over to a digital download usually. Puyo Puyo Tetris has been fun, though! Oh, but story mode is painful . Yap yap yap about nothing. And even though game is solid, it does highlight the cross pad sensitivity on my Pro Controller is bad (noticed it in BotW with accidental up presses, but it's critical in this game). Much better to use JoyCon "pad" of buttons. Mario Kart 8 Deluxe physical tomorrow. I don't understand all the fuss about Kamiko. I already saw too much generous reviews, I'm not happy about that. Yes it cost a few bucks but it is very short and very cheap. I hope TumbleSeed will see some more interest because it looks more content rich. I really feel bad to see Wonderboy have a score lower than that cheap game. Tomorrow will buy Mario Kart 8 Deluxe, but still considering WonderBoy and TumbleSeed for the future. Shovel Knight at 25 it's too costly for a digital purchase in my opinion, I think I'll skip it. @Sakura Yeah, why'd they change that? Also, nothing for me, but I am getting MK8D as a physical copy. Paying $51.35 on Amazon (with Prime) beats paying $64 on eshop. I hate to be the bearer of bad news, but you may as well give up any hope of future SNES VC releases on 3DS. They did the same exact thing with NES support. They killed it in Japan, and then America/Europe, and then---total silence. I didn't think that they would kill it as fast they did, and I thought that there would be a good chance to see games like Gradius III, Harvest Moon, some of the more obscure Capcom beat em ups (Captain Commando, Knights of the Round, Saturday Night Slam Masters), and I figured that the remainder of first-party titles would likely see release. I also figured that they'd utilize the service to fill in for empty release weeks, such as this one. My wife and I have played hours and hours of puyo Tetris and that's just the demo. Going to have to pick it up. Already picked up Puyo Puyo Tetris, and definitely buying MK tomorrow. Interested in Tumbleseed as well, waiting to see a bit more of that. Dude, I didn't realize Brentalfloss' game came out on Wii U! Heck yeah I'll download that sucker right now! Also interesting about the D-Pad, I've believed so far it was a Zelda issue mapping diagonal up-right to up. I wonder if Puyo is also doing that (maybe to compensate that hitting up is less likely when intended on some other D-Pad) or if the pad actually registers UP. We'd need someone with a dev kit to confirm that. I find it hard to believe it's a hardware level issue though considering Nintendo's been making the proprietary cross-d-pad since the early 80's. I'll be getting MK8D as soon as I can, but otherwise nothing else this week. "Is Puyo Puyo Tetris the Nail in the Coffin for Gamestop?" Someone gullible please write that headline and make my day. @Anti-Matter Just hit the ignore button on that person like everyone else has. 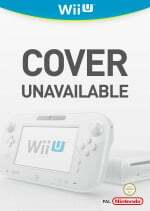 I'm a bit torn, should I get Mario Kart on physical or download? I like downloads as it's always with the system / less to carry (not that a cartridge is heavy like) but a nice box is also cool. Gah! Why can't you download your own physical stuff to the Switch? That would be my ideal. Oh well , talk about first world problems eh? @Sakura Nintendo logic. "they're asking for the US update to be earlier in the week, the same time as EU update? Move the EU updatye to thursday so!" Nintendo press release "In the interest of parity....we've been listening to our fans! The EU and US updates will now be released at almost the same time!" Getting MK via physical release, so nothing for me. Kamiko down the line of its good. @ogo79 I remember the Rare Games Club. Does 3DS now count as rare games since it's now a week where Wii U is getting more game releases? I'd probably download Tetris since I heard the download is cheaper for some reason....IF I HAD A SWITCH! This is pretty depressing for 3DS owners. it seems like it's been months since the last Virtual Console game on the system despite there being a boatload of other qualified games, and most of the eShop exclusives look like shovelware. Man Nintendo better be cooking up an AMAZING virtual console replacement for Switch because this situation has just become ridiculous. damn thats a great idea, yer hired! @gatorboi352 you are dreaming my friend. They will botch the VC, AGAIN, because they wouldn't be Nintendo if they didn't. I'll eat anyones hat and gift them a game if they manage to have a decent VC by the end of the Switch lifespan. Are you guys ever going to do the Japanese releases? MK8D and Puyo Puyo Tetris for me. @Tetsuro It could just be that Kamiko is actually a good game. Not sure why you should be upset about that. @sleepinglion They will probably debut VC once the online service is in no longer a free trial. I'd have bought Puyo Puyo Tetris but it's not on 3ds so oh well, Nintendo gets no money from me this week. Again. In fact, the only game I've bought this entire year was Story of Seasons Trio Of Towns. @joey302 I'm 99% sure I won't have to, that's Nintendo for you. Though if they do offer a really decent to good service I'll be sure to prep my stomach and wallet. @Indielink I'm not happy about cheap decent games passed off as 'good' games. It's not right for the people that buy them and then get pissed off by a one hour decent 'retro' game. I'm not against Kamiko, I just guess the reviewers aren't up for the task of reviewing. Loving Puyo Puyo Tetris! I'll get MK8. I have a few more games that are going on my list but I have a few unexpected expenses. So no shopping spree for me this week. Not downloading it but will be picking up a physical copy of Mario Kart 8 tomorrow. Can't wait to play it. @Tetsuro Not every game needs to be a 100 hour epic to be worthy of a good score. Also, it's 5 freaking dollars. And it's scored in the context of being 5 freaking dollars. And I just looked, every single review is quite clear about it being a very short game. Every single review is also quite clear about it being a lot of fun to replay and optimize your route for speed running. People have no right to be pissed off about what they buy when there are plentiful reviews and videos detailing what the game is. Do the slightest bit of research into what you buy and generally you won't be displeased with what you get. Nothing to major this week beyond Puyo Puyo Tetris, but Switch still needs that big exclusive game. @Indielink You can put it in context all you want but this is a Nintendo Switch, not a smartphone so that type of a game can't be reviewed better than a Fast RMX (that to me it's nothing more than a decent game that too, even if it cost only 20$). I will not be displeased because I'm not going to buy it (even if it looks ok, pretty polished at least), but many buyers rely on reviews and those must be trustable. @Fred13 well technically that's a U.K. date but North America so far has been getting the same updates every Thursday. My son wants it too lol. Looks like an NBA Jam kinda game. Hopefully will be just as good! I kind of miss Nintendo spoiling us Wii U owners with N64 Virtual Console releases earlier this year. I was kind of hoping to have Smash Bros 64 by now. Yessss, download started for mk8! Actually, the Blasting Agent demo has been available since last week. Also, what does the Runbow Pocket theme mean for the game? Could there be a release date announcement incoming? Kirby theme for me! Now I can hear him say "hiii!" every time I open my 3DS. @joey302 I agree. I do like the new interface, but it needs a clean way of viewing the whole catalogue. Downloading MK8D right now. Gonna have to goin dig out the old WiiU and get me Mii copied across and find my Villager Amiibo. How long has it been there?! On MK8D anyone know what L and R do when you're on the kart select screen (on speed, ACC etc screen)? @morphballer Shovel Knight became "Treasure Trove" around late February/early March. Right when they started selling the separate campaigns with different titles. Nice to see CAD prices in the NA downloads! Working a midnight shift right now but get off at 7am. Wallmart opens at 8 will be there for Mario kart. If for some reason I don't get a copy I will download it. oh btw- i just ordered the new version of alcahest repro that has yer english password fix. i hope these work. confirm?